Roy is more then a mere pizza delivery boy. 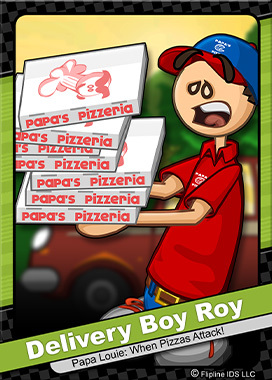 Ever since he was left alone at work, Roy reluctantly took on the roles of cook, waiter, and general manager of Papa’s Pizzeria. When he’s not prepping pizzas, Roy can usually be found running errands for his uncle, Papa Louie.